Exactly, quite the opposite of bulletproof actually. 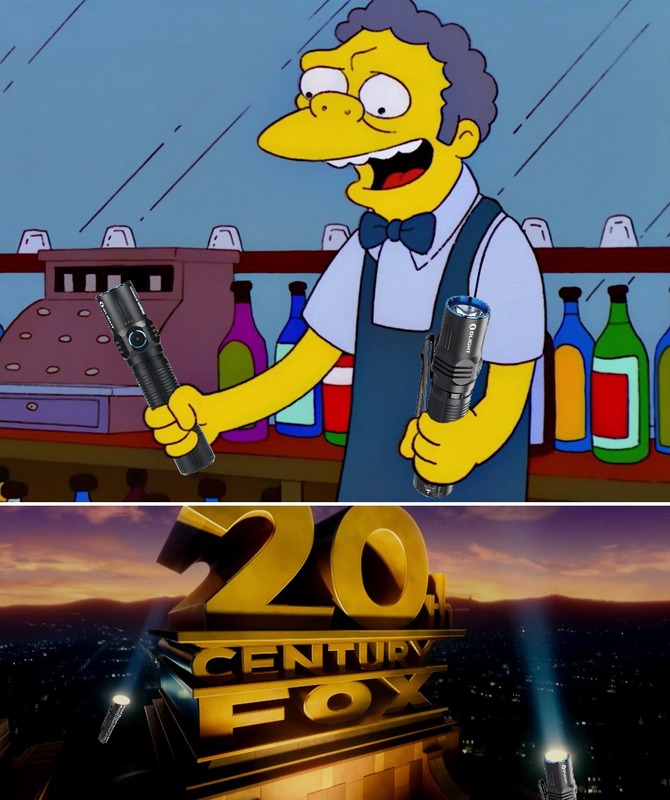 I gotta tell ya, this is pretty terrific! Or when you try to turn it off it hits you with the “Do not turn your machine off, downloading updates….. “ . ……. _(snip) ……. I priced an AR coated Sapphire “Window” in 35mm at $195 each. Having a “window” could indeed drive the price WAY up! @ DB Custom…. What is the advantage of the Sapphire “Window” & why is it so expensive?? 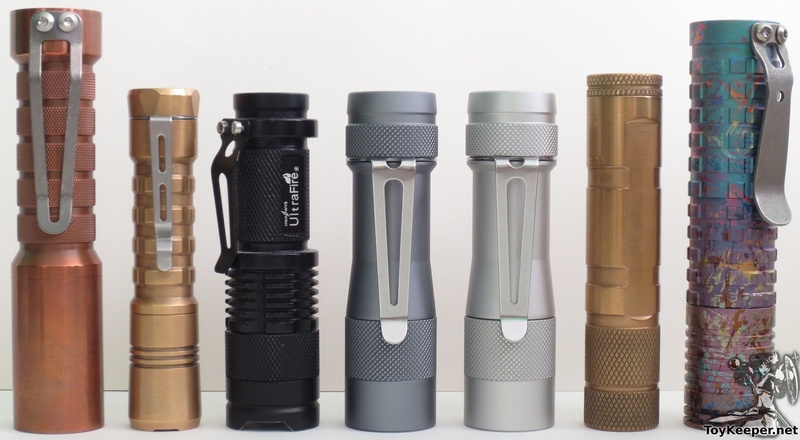 I did a search for Flashlight Windows and came up with nothing. I did a search for Flashlight Lens and came up with Flashlightlens.com …. But unless I missed it, there was no info on a Sapphire “Window”. Just curious about it’s advantage & high cost. And so it did joechina!! Thank you for the tip…. I see now why it is good & pretty expensive too. 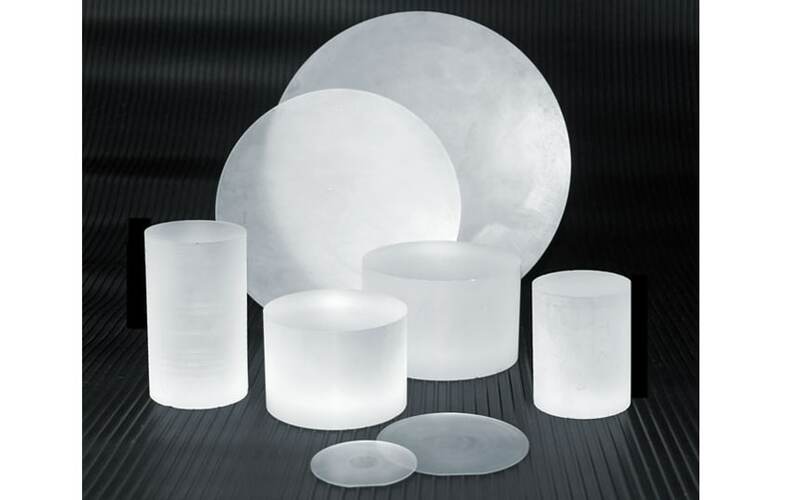 Sapphire glass is a synthetically produced crystal second only to diamond in its hardness, making it extremely durable. It is typically grown in cylindrical sticks called boules, and is slow, expensive and energy-intensive to produce. Put me down for two please! Windows? That is just asking for trouble. Your flashlight will just crash without reason. You will have to call Geek Squad to remove spyware and malware from your flashlight. Or you will get an email telling you to send bitcoins to someone that is holding your flashlight software hostage. Some 12 year old kid halfway around the world will be turning on your flashlight remotely in the middle of the night. 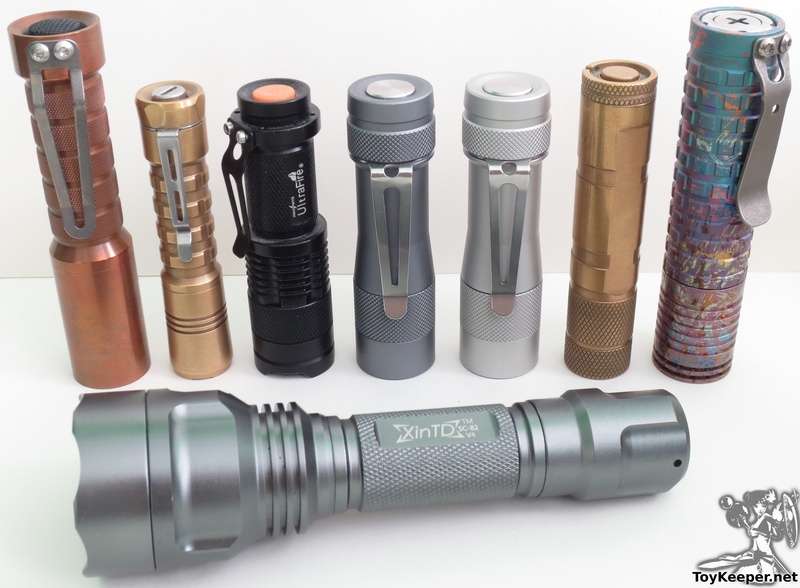 I've actually found "LEDsupply":https://www.ledsupply.com/triple-carclo-led-optics to be cheaper. They have free shipping on all orders. Even on a single optic. And it is fairly quick, ~3-4 days to my mailbox. Thanks for this tip nvanlaar! Anyone know what this option is about? Thanks. ToyKeeper, I would like to donate a small gift to show my appreciation. Where do I send it? Thanks. It will make my day when you do! Take care, and Thanks! @ ActiveAl….. He opens it up a bit to fit over XP-L emitters. This DOES NOT gave to be done for the XP-L HI. 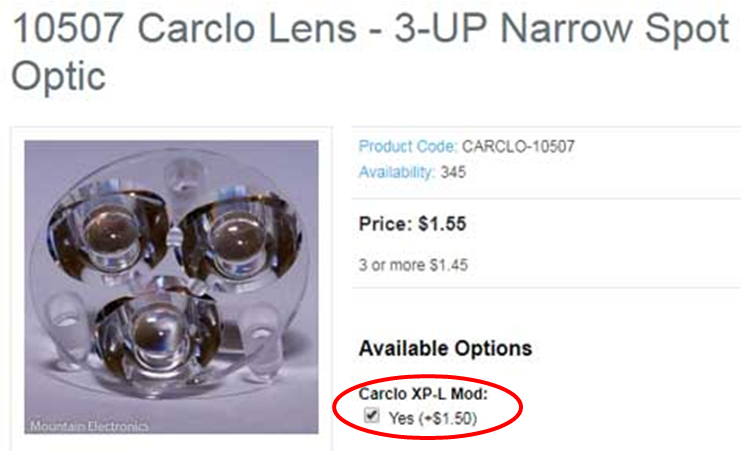 there is an XP-L mod option that can be added when purchasing a Carclo 10507 … Anyone know what this option is about? The original XP-L doesn’t quite fit into Carclo triple optics, because the dome is slightly too big. It’s a really close fit though, so the optic can be expanded a little to fit. This is completely irrelevant for XP-L HI and LH351D though. 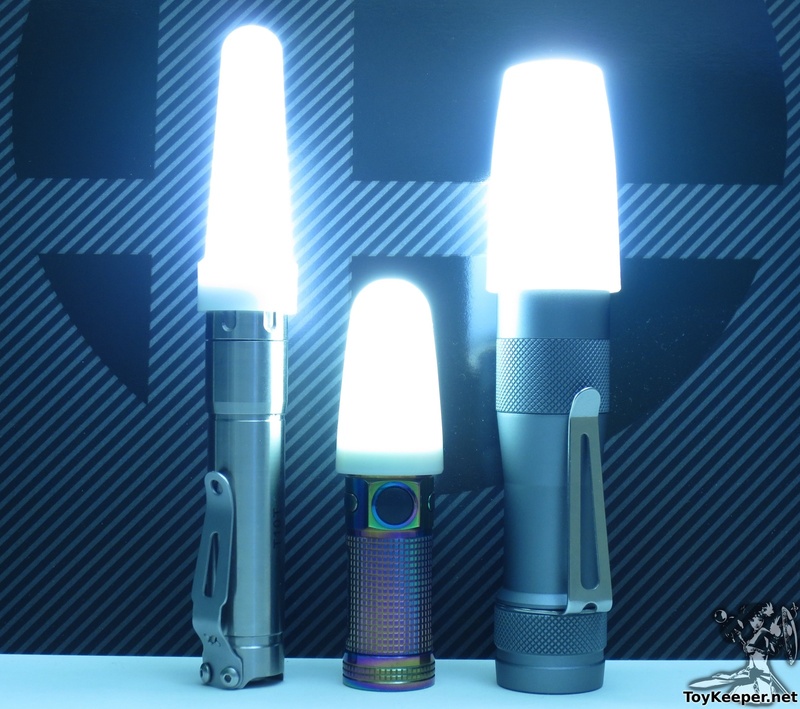 Ideally, I’d like the FW3A diffuser to be nearly identical to the Olight S-Mini diffuser, except scaled up to fit. Thanks for the pics & info TK. It looks as though most things are coming together fairly well…. hopefully that will continue. Do I really need to insert the Futurama meme of Fry screaming “TAKE MY MONEY” ??? I think I just drooled on myself a little. It looks so nice! Thanks for keeping us updated. I really appreciate it. In the OP it says “current status: anodization is dark gray”… now, I can’t speak for others of course, but to me dark gray would be something like graphite (or maybe a bit lighter than that) – in the pics it looks like it’s closer to silver, kinda like a middle gray actually lol. Did you swap in clear optics btw? Or did yours not come with a frosted medium spot? Have to admit, I actually prefer the dark grey. Whatever color gray Proto 4 is, in TK’s picture above; looks just fine to me. Both colors look good to me. What really has me excited is seeing it next to the SK-68, and realizing it uses an 18650. It almost seems like magic. but which color will we get, the darker or the lighter one ? Only time will tell for sure I suppose….. .. When we open our boxes we will know with 100% accuracy. We are getting the darker color. The lighter color (prototype 2) had issues with faint stripes being visable. They changed to the darker color (prototype 4) and the stripes are gone. The new color is very consistent. okay i see, i actually prefer the darker eventho it wouldnt matter which hey used . 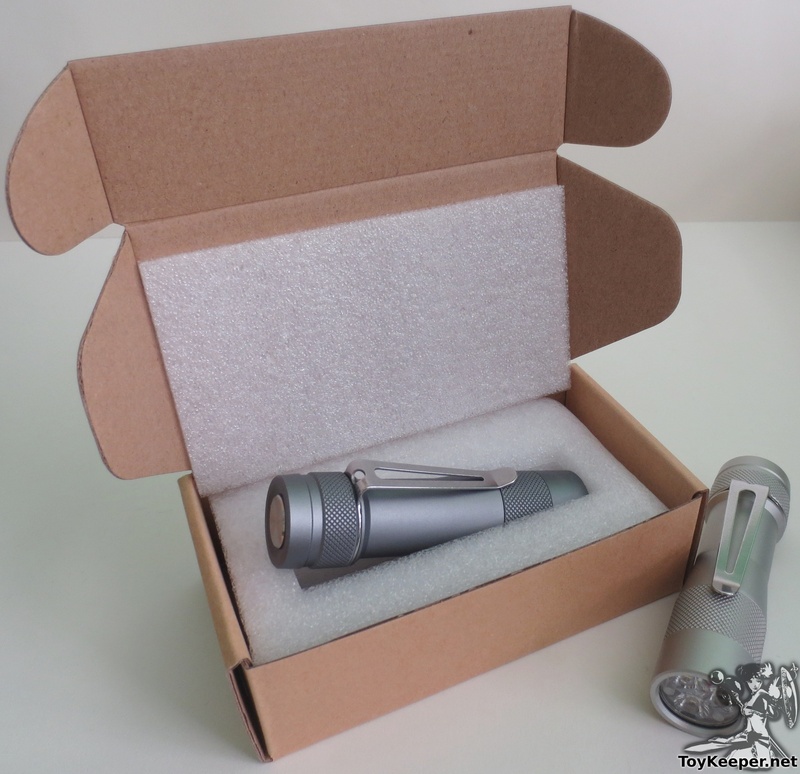 its crazy how small this light is, compared to that sk68 light more or less the same size i would never guessed this light uses 18650 if i didnt know about it before. 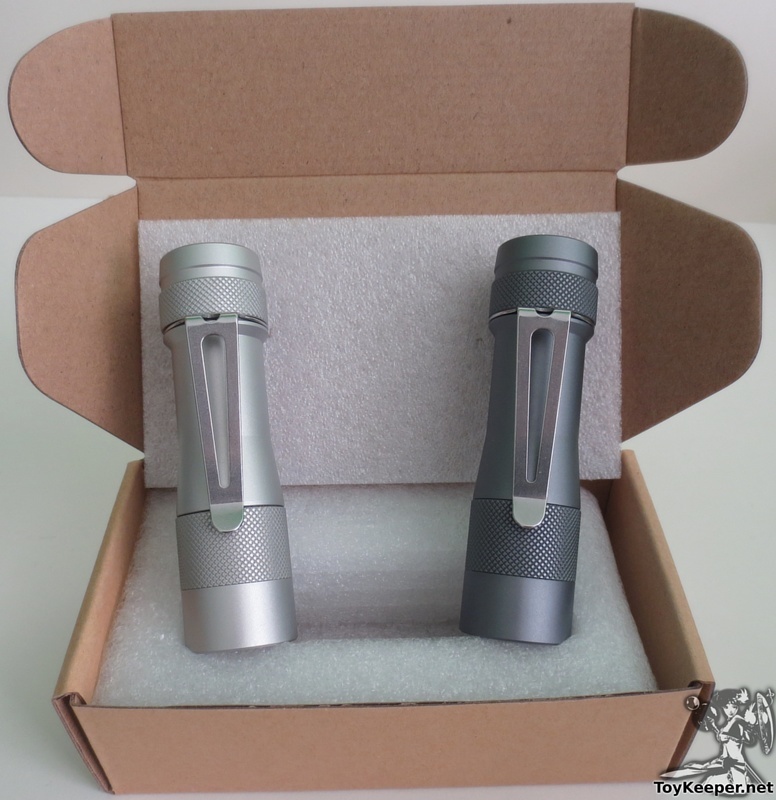 Lumintop hasn’t received their order of XP-L HI 3D emitters yet, so they used extras they had in stock. 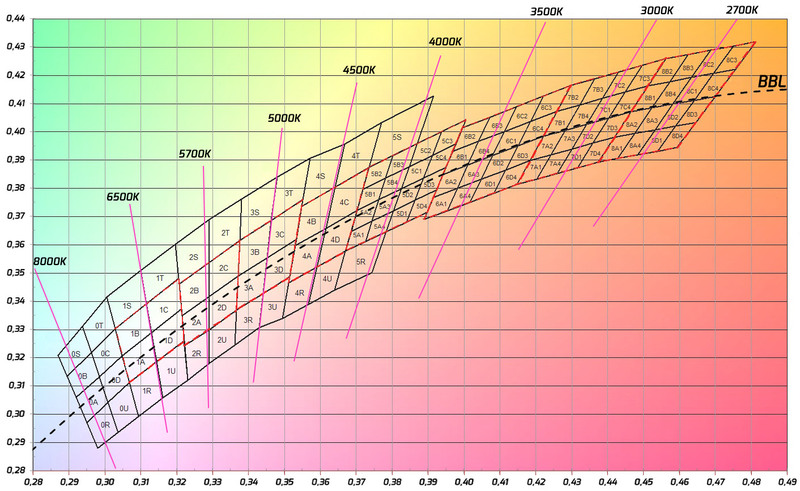 On maukka’s, this meant ~5700K, maybe a 2B tint. On mine, it was ~4000K, like a 5A or 5D tint. I’m not really a fan of warm tints, but this 5A/5D isn’t bad. I like it a lot more than the SST-20 4000K 95CRI light I had for a while, so I think I’ll leave it this way. The only nicer ~4000K tint I’ve seen was a Nichia 219B. You are the luckiest receiver of all FW3A receivers! I wish that was the X-L HI version available on the production run. 4000K is my preference, and the 219B is still one of the top two nicest tints in that temp. The 219B is extremely consistent in my experience, and all the XPL-HI 4000K I’ve used have been slightly better or just slightly worse. The HI’s are really consistent for Cree’s. We asked for dark grey, though what I received is more of what I’d call a medium grey. I think it still looks good though, even though it’s a bit lighter than expected. I don’t have any 10511 optics right now, but I ordered some. So I’ve been using the two closest until then — 10508 and 10507. Those are what I have in the pictures. What really has me excited is seeing it next to the SK-68, and realizing it uses an 18650. It almost seems like magic. I know, right? I’m not sure if the SK-68 is as widely-known these days as it used to be, but it was a lot of people’s first modern LED light… and the FW3A is almost exactly the same size. 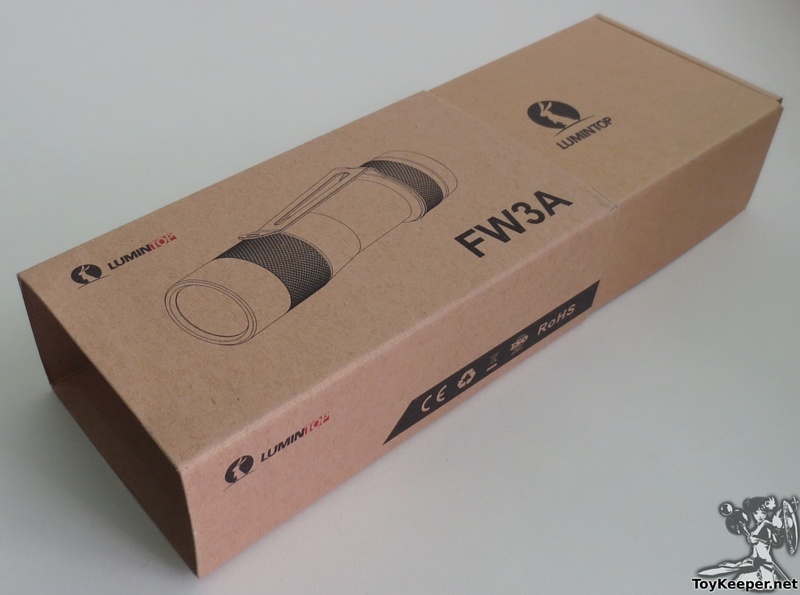 But the FW3A puts out about 50 times as much light, has 5X as much battery capacity, has a much nicer general-purpose beam, and has feature-rich firmware instead of just 1-mode or high-low-strobe. On mine, it was ~4000K, like a 5A or 5D tint. 4000K is my preference, and the 219B is still one of the top two nicest tints in that temp. The 219B is extremely consistent in my experience, and all the XPL-HI 4000K I’ve used have been slightly better or just slightly worse. In this case, it actually makes my 219B-4000K light look slightly green. It’s quite rosy. That’s just about right for me though. 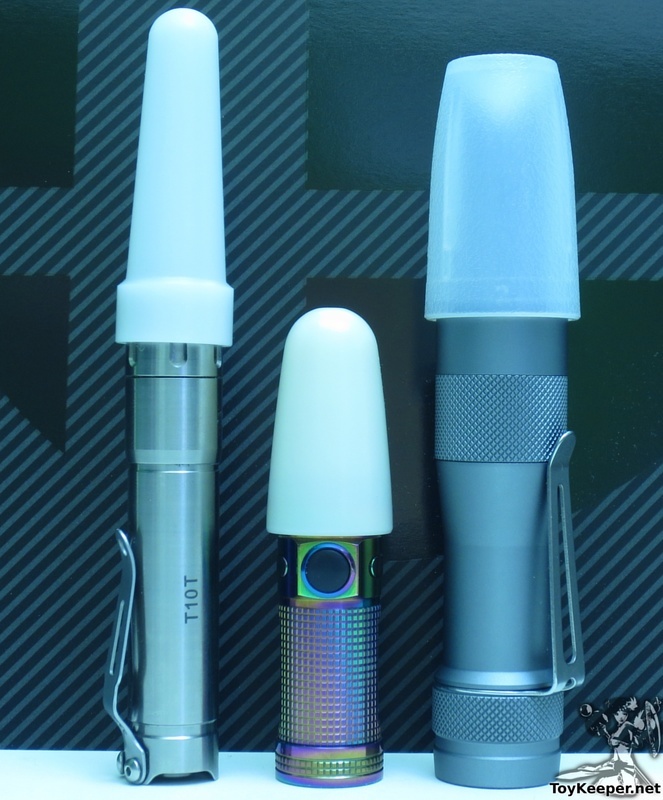 Maybe after the initial batches are done, they could make a 5A-tint XP-L HI model. Or SST-20. Or whatever else people want. For now though, I just want to get the original project done. 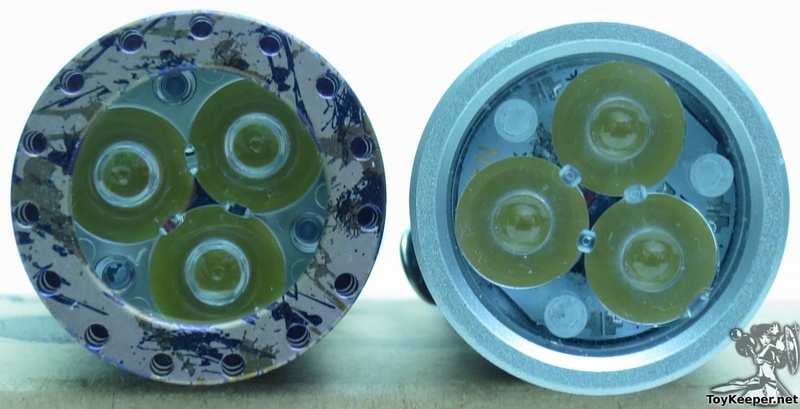 Does the FW3A have flashes in the ramping to tell you when you hit full output or at the top of the 7135’s. There was a poll about this a while back, basically yes/no for each optional “blip” in the ramp, and I went with whichever ones had more yays than nays. IIRC, that worked out to 1×7135, 8×7135, and ramp ceiling. But in the default config, those last two are the same. I’ve been tempted to turn off the blips entirely, and have turned them off in the builds for some other lights, but the FW3A is still configured according to the poll results. For now, which flashlights with Anduril have that blip? and which don’t? 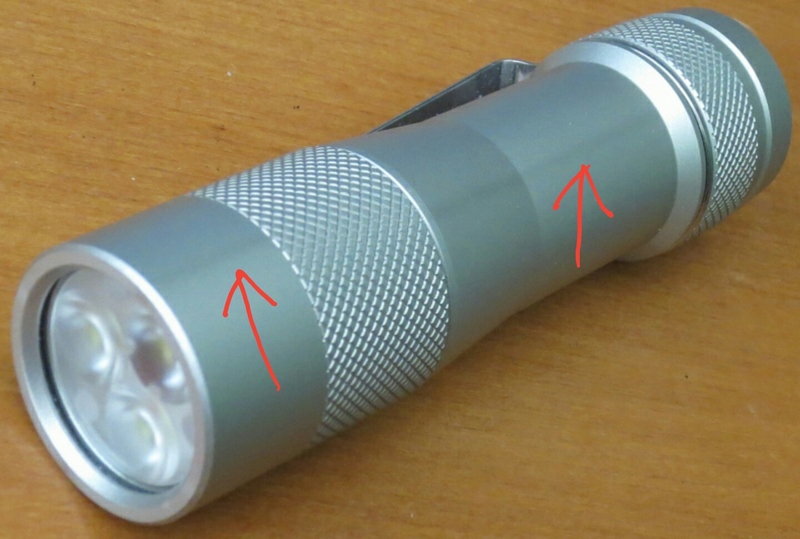 I think the BLF Q8 and Sofirn Q8, Emisar D4S has that blip to signify crossing-over from the fully-regulated to partly-FET-driven mode. But I don’t think I noticed a ‘blip’ on the Fireflies PL47 or E07.